Thanks to Geraint Jones of the British G Promo PR agency for the news that Viper Central from Canada are returning to Ireland and the UK for their third consecutive summer, in a tour lasting more than a month and coinciding with the release (2 July) of their third album, Thump & howl. An official video of the band performing the title track of the new CD can be seen on YouTube. A further performance video by Viper Central can be seen on UKBluegrass.com, where a schedule for the British part of the tour - fifteen dates in England, one in Wales, and one in Scotland - is given. The tour begins tomorrow night (22 June) in Ireland, where the band will make twelve appearances before moving on to Britain. All the present dates for Ireland can be seen on the Bluegrass Ireland Blog. Further dates are to be announced shortly. Their previous albums, The devil sure is hard to please and Live at the Street Church, have enjoyed critical success, and Viper Central has toured North America and Europe. 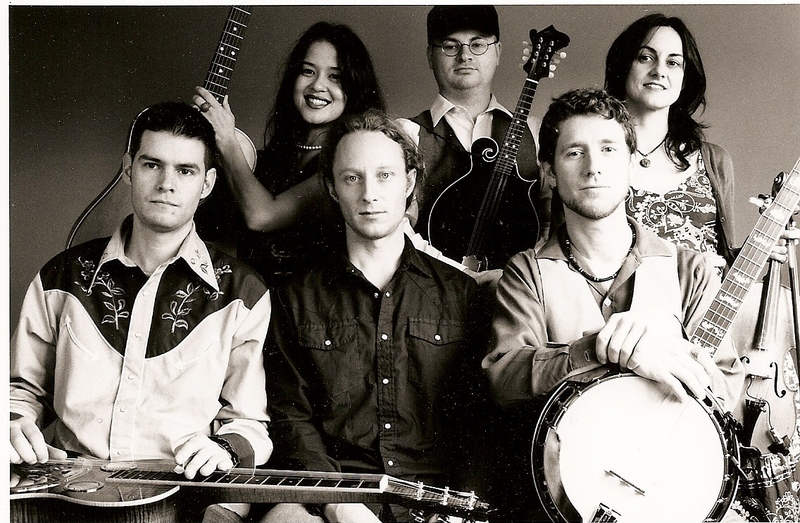 Viper Central consists of Steve Charles (guitar, banjo, bass), Kathleen Nisbet (fiddle, vocals), Tyler Rudolph (banjo), Mark Vaughan (mandolin), and Tim Tweedale (resonator guitar). For further information, guest lists, interview requests, etc., contact Geraint Jones / G Promo PR. Phone +44 (0)1584 873211; mobile 07855 724798; e-mail.